The cheer program promotes school spirit in support of the University's athletic teams, student body, faculty, staff, and alumni. 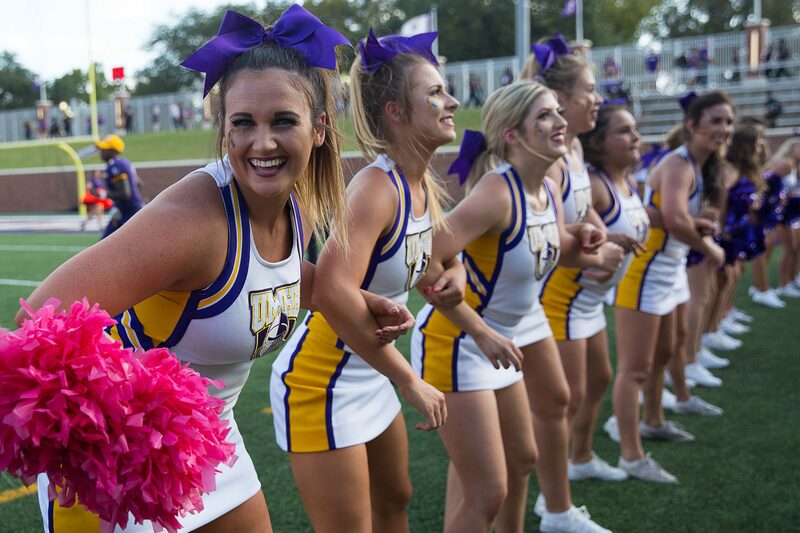 CRU Cheer members strive to serve as elite representatives of the UMHB student body as well as ambassadors of the university throughout the community. Sader Belles is a group of female athletes responsible for promoting spirit and sportsmanship at school functions and serving as a performing group representing the university. They can be seen performing at UMHB football, volleyball, and basketball games as well as various community events and dance competitions.